October 22, 1016; ~11:45pm. Filmed on n iPhone 6 from the front row, center seat. Just after the Chicago Cubs clinched the National League Championships to enter the World Series. More info on Nick Offerman’s Introduction to Highlander at The Music Box Theater in Chicago, IL. Social Distortion – Blues Jam / Ring of Fire (Live at Riot Fest, Douglas Park Chicago IL, 17 Sept 2. Tours in Chicago – Illinois. Leave a Reply Cancel reply. You must be logged in to post a comment. Music Box Theatre's Apr/May/June 2019 printed film calendar is now available. Stop by and pick one up at the theatre or download it now in PDF format. Stop by and pick one up at the theatre or download it now in PDF format. Nick Offerman's Introduction to Highlander at The Music ... More info on Nick Offerman’s Introduction to Highlander at The Music Box Theater in Chicago, IL Social Distortion – Blues Jam / Ring of Fire (Live at Riot Fest, Douglas Park Chicago IL, 17 Sept 2 Tours in Chicago – Illinois. 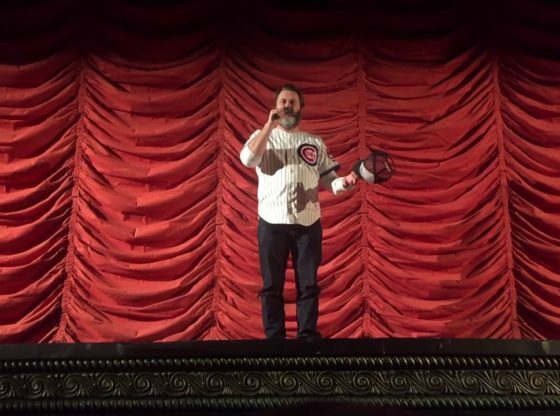 Nick Offerman's Introduction to Highlander at The Music Box Theater in Chicago, IL - Duration: 4 minutes, 42 seconds.